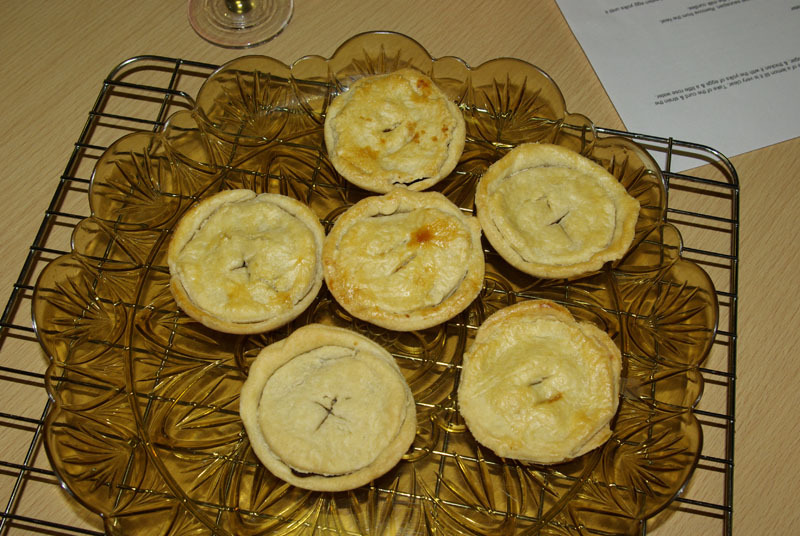 For our Cooking Up History Session in December, we entered the Christmas spirit with a menu of mince pies and warming lemon caudle. You can find out how we got on with the recipes by taking a look at Kim’s special report. Take a neats tongue, parboule it & skin it, & shred it. Put to it 3 pd of beif sewit, a pd & a half of raisins, 2 pd of currants, half a dozen of pipens, a qr of a pd of sweet meats, 3 qrs of a pd of white sugar, half a pint of sack, a qr of an ounce of nutmegs, the same quantity of all other spice’s, a little salt. Mix all well together. Inspired by ‘Mamma’s’ recipe, here’s our take on Georgian-era mincemeat pies. It makes enough mixture for two dozen pies. Boyle some milk & turn it with ye juce of a lemon till it is very clear. Take of the curd & strain the whey, & season it with nutmeg & sugar, & thicken it with the yolks of eggs & a little rose water. 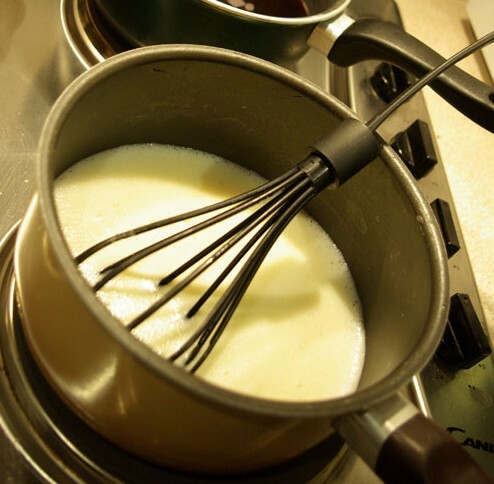 When warm and slightly thickened (the consistency of a thin custard), pour into cups and enjoy! * To avoid wasting the curd, why not try our Cookbook of Unknown Ladies recipe for lemon cheese? It is a shame to discard the curds from the lemon caudle; you have just made lemon cheese, which no wise housewife would throw away. Hi Kimberly, thank you very much for your suggestion about the lemon cheese – I’ve now amended the recipe to include this tip!